Choosing a reliable safari company allows you to get the best out of the gorgeous national parks of Tanzania. 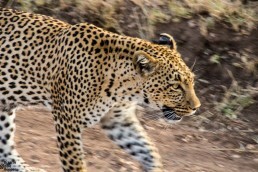 Safari should fall into the trip of a lifetime category, but it can also go wrong in various ways. Stay on the safe side and browse our checklist for choosing a safari company in Tanzania. There are hundreds of safari companies in the city of Arusha alone, which is the main safari hub in Tanzania. Many will promise you the moon, but not all can deliver. To make things even more complicated, it’s not even enough to do the normal background checking since there are some specific questions that you should address. Prices between Tanzanian safari companies might have astronomical differences, even on the same itinerary. The cheapest option won’t probably be the best, but not necessarily the most expensive either. Of course, some safari companies just take bigger profits than others, but it pays to look at what you are really getting for the quoted price. Comparing prices won’t give you the big picture, as you should concentrate on the price-quality ratio instead. When you’ve found a reliable safari company and told them your requirements, they usually suggest an itinerary tailored to your needs. Ask for a detailed itinerary, where you can see the actual times spent on the game drives and transfers between locations. Ask if the selected lodges are inside the national parks, as this means that you’ll be on the game drive before others even get into the park. Some lodges are located one or two hours’ drive from the gates meaning considerably lower prices, but very early morning calls and possibly fewer game sightings. Check also the reviews and the price level of the lodges from online resources, such as TripAdvisor. Check out what is really included in the price. Some safari companies can offer two game drives in a park on a daily basis, while others offer only few game drives during the whole safari. Park fees are steep, and gasoline is expensive, so these factors affect the price tag. Is the accommodation at half-board or full-board basis? 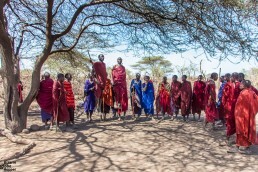 Are every excursion and activity listed in the itinerary really included, like the visiting fee of the Maasai villages (50 $ per group), hot balloon ride in Serengeti (499 $ per person), walking safari fees, etc? I would also appreciate the membership of Flying Doctors. In the case of emergency, Flying Doctors will pick you up even from the remote areas and transport you quickly to a location with good medical facilities, where your own travel insurance kicks in. If the safari company is a member, this service comes free of charge. Everyone knows that private safari is the real treat, but it comes with a hefty price. 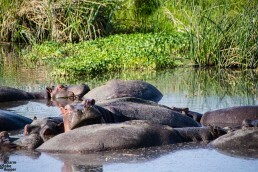 However, group size really matters on a safari. Small group safari in Tanzania can deliver way better than general group safari in terms of comfort and wildlife watching. Remember also that if you take part in a group safari, you have to go with the group’s interests and follow the fixed itinerary at all times. Be sure to ask the number of people on the safari. Ask also how many persons there are in the vehicle and what kind of car it is. 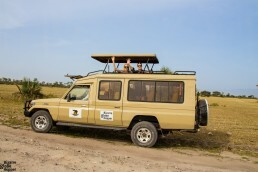 If you’d like to enjoy wildlife watching, don’t accept anything else than 4×4 Land Rover with a pop-up safari roof. Choosing a Land Rover also guarantees that you’ll have a window seat all the time. We had a 7-seat Land Rover for just three of us, which meant we didn’t have to compete for views with each another ­– or strangers. Smaller 5-seat Land Rover would have been enough for us, but having plenty of space made all the difference. We could move around comfortably and take advantage of every possible angle when photographing wildlife. As you’ll be spending half of your days in the car, the comfort level really matters. Ask if the car has air-conditioning. Our Land Rover was equipped with the newest technology so we could charge our phones and cameras on the road. We also had a fridge always full of cold water and beer, which were included in the price, as well as some excellent South-African wines. 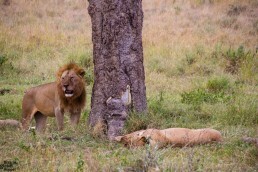 It was a nice add to sip a cold beer while observing a lion family having their feast in the middle of Serengeti. Note that if you’d like to consume alcohol while in the car, your safari company and driver must have a special license to “bartend”. Fridge, instead of a cooler, also guarantees that your lunch boxes will stay edible in the heat of the day. Ask also does the safari company own its jeeps or are they rented, and how old they are. Some safari companies are trying to rent as cheap cars as possible, which is not a right formula for you. An own fleet is usually maintained better. Last but not least, the car must be an official and registered safari vehicle. Your guide’s skills in navigating in the parks and spotting wildlife are maybe the most important factor in the whole safari experience. Ask how the guides are trained. It’s definitely a good sign if they’ve been graduated from Mweka Wildlife College, as it’s the oldest and most appreciated wildlife college in Africa. Check online reviews of the safari company and their guides and also ask from previous customers whether they’ve been content with the guides. If you are interested in hiking or night safaris, ask if the safari company is licensed for them. It is not allowed to walk in the main national parks of Tanzania without a license (you have to pay separately for the ranger to accompany you). 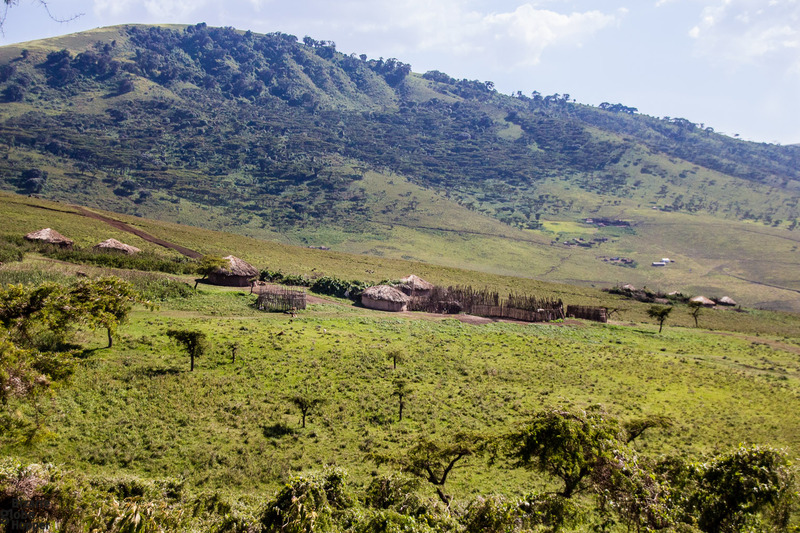 Especially if you are visiting the national parks of Tanzania during the low season, the wildlife herds might be far out, which means it takes time and gasoline to reach them. Make sure that your safari company is willing to drive as far as needed to find the great migration. It’s economically sad that almost 60% of the safari companies operating in Tanzania are not locally owned. We like to support local companies, as it usually ensures that our money profits the visited country. From what we’ve heard, foreigners might have difficulties in finding good resources in Tanzania, but at the same time they might be better affiliated with other foreigners, where in turn local operators might have their trouble. Locally owned company might understand better the roots, wildlife, and indigenous people. Local companies can also cut down middlemen meaning lower cost of operation. Then again, these are of course generalizations. Local and international ownership both have their pros and cons, and both kind of companies can be professionally hold. If you choose US based (or other foreign) company, make sure that they really know the destination. Ask them straight questions: how many times have they been in Africa and when was the last time? Which local operators they use, and how do they control the quality? Do they hire locals, and how their guides are trained? Tanzanian government mandates only Tanzanian registered vehicles and licensed drivers meaning that overseas companies have to use local subcontractors. Some companies don’t even tell customers beforehand that the ground operator is not the same company through which they’ve booked, so be sure to ask. Personally, I would prefer choosing the local company that I’m traveling with by myself, in other words I would book my safari through a local company or at least ask the name of the ground operator and check their background as well. As there is big money circling Tanzanian safaris, it’s a tempting trade for frauds as well. Always remember that there’s a risk when sending money to the safari company and double-check their reputation before any transactions. Firstly make sure that the safari company is recognizable by the Tanzanian government. You might even face problems with your travel insurance if the tour operator is not registered. Registration also protects your money against disasters, as either your safari company or the government will reimburse back for example in the case of bankruptcy.  You could also look for the memberships of safari associations. These memberships don’t necessarily guarantee the reputation, but the lack of them could indicate something. 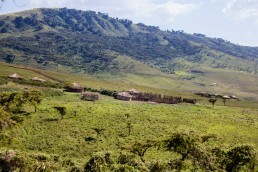 A reliable safari company should have an address in Tanzania as well as stable ownership. Answering actively and profoundly to your questions gives proof of their level of customer service, which might guarantee the best possible experiences on a safari. We usually use TripAdvisor while comparing hotels and tours. It’s a fairly good tool for checking the background of Tanzanian safari companies, as well. 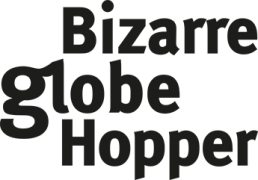 Just bare in mind that new, small and middle size tour operators might not have as many reviews as bigger and older companies, but it doesn’t necessarily make them less suitable for you. 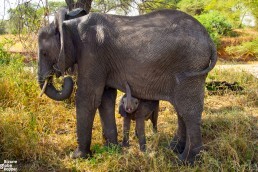 A smaller company might be more affordable and flexible option for your safari through Tanzania. Browse enough reviews online to check others’ experiences. Lastly, ask for several contactable references – just to be sure. If the safari company denies giving you any contacts, that’s a bad sign anyway. Ask also about their payment, cancellation and refund policies. 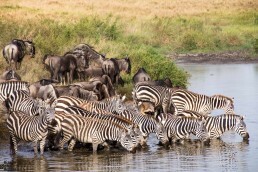 Many safari companies in Tanzania have recently acknowledged tourists’ need to give back. Nowadays quite many safari companies state that they are involved in humanitarian work, which still might not be the case. Ask them to specify what they have done already and what kind of on-going projects they have, if you want to be sure. 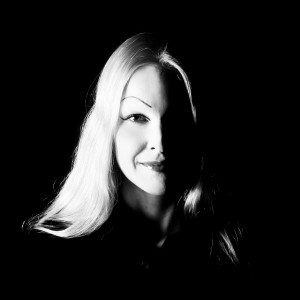 Some donate a certain percent of your payment or their revenue to charity; others just keep their projects vaguely separate. If it’s possible to find objective information on how the safari company treats their workers, I appreciate it. Choosing a company with ethical operating principles is the easiest way to give back. We browsed through the list above while evaluating the best safari companies in Tanzania. After a lot of background checking and long Skype conversations, we chose Ombeni African Safaris/Ombeni Foundation. I’ll highlight here just a few things, which separated them from the other Tanzanian safari companies in our eyes. The owner, Ben Pallangyo, is local like all of his ground team. Ombeni African Safaris supports the families of their workers, having built houses and set up funds for education. Everyone at Ombeni seemed to have a unique relationship with African nature and the sites we visited, but of course, you can experience the same with other knowledgeable local guides. All the guides of Ombeni Safaris have graduated from the widely respected Mweka Wildlife College. After a 4-year degree, they are further trained at Ombeni African Safaris for a whole year so that eventually they’d know every possible route inside the national parks and can meet every possible need of the western tourists. Ombeni African Safaris trains guides for free and provides them also a unique opportunity to visit the US so that they would see where the majority of their customers come from. Unlike most of the safari companies, Ombeni African Safaris also uses women drivers and guides, which we admire. 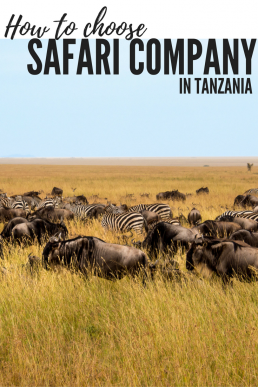 Equal safari companies are still pretty rare in Tanzania. Ombeni Safaris can take you off the beaten path and tailor the route from scratch according to your likings. Even if you’d like a fixed itinerary covering the main national parks, they don’t put you on a group tour, as they don’t mix strangers in the same car – unless you’d prefer so. The best part is that 60% of their revenue goes to humanitarian work. Ombeni Foundation supports 645 school kids in the village of Meru. Currently, they are also building an orphanage and helping pregnant women through a local clinic. All in all, we were more than happy with our choice, since our safari in Tanzania was one of the most amazing trips we’ve ever done. Have you been on a safari or are you planning for one? 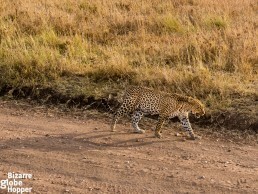 What kind of things you would prioritize while choosing a safari company in Tanzania? In your opinion, what would make the best safari in Tanzania? I love all the comments. I just got back from 15 days in Tanzania doing safari and Zanzibar. I didn’t know of this company, but will definitely reach out. I want to come back very soon… So much more to see. Loved the Bush Camps. I’ll reach out. What a comprehensive list of things to ask or look for! After reviewing countless websites and round-up lists, it’s incredible to find this. Which trip did you go with? 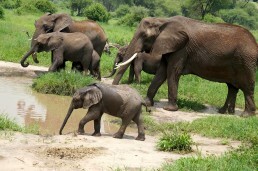 The African Big Five Encounter Safari seems great in terms of the three locations visited. Can’t wait to go through and read your Africa posts! 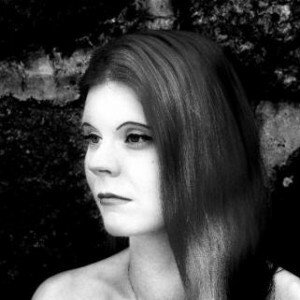 Hi Kaitie! Thanks for stopping by! Yes, I agree, that “Grand African Safari” itinerary by Ombeni African Safaris is incredible indeed! It gives a perfect introduction to this amazing continent and its wildlife. 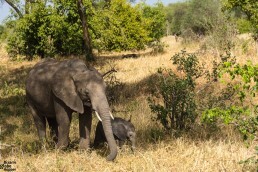 I cannot imagine a better “first-time safari tour”! 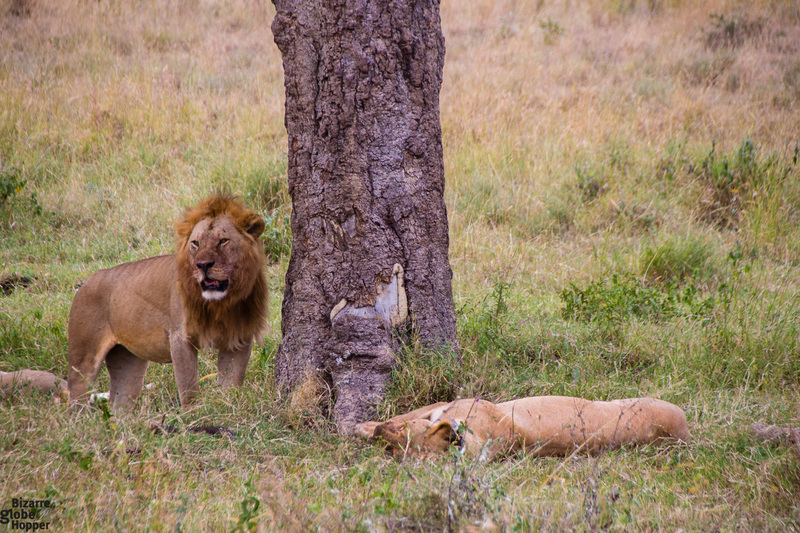 We took a 10-day safari in Tanzania touring Serengeti, Ngorongoro, Lake Manyara, Tarangire, and Arusha area. 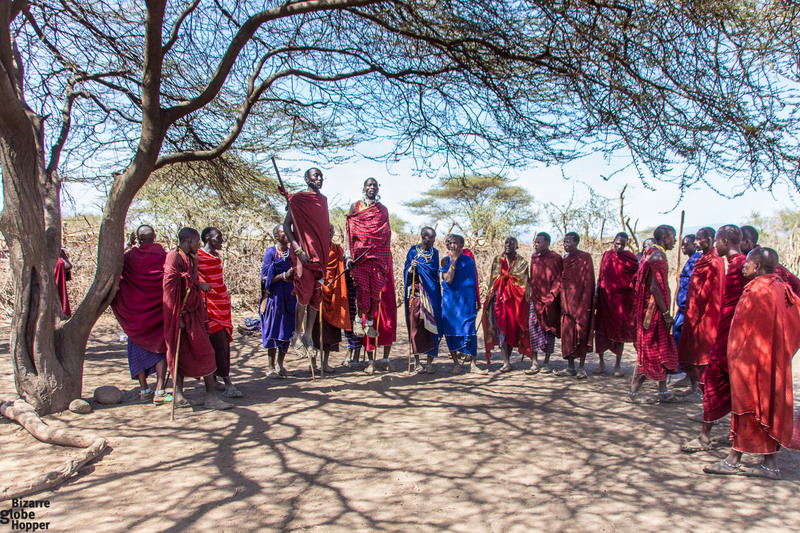 We met the Maasai and Meru people, visited a local village, which doesn’t see other tourists, and stopped by the road every time we saw something interesting. 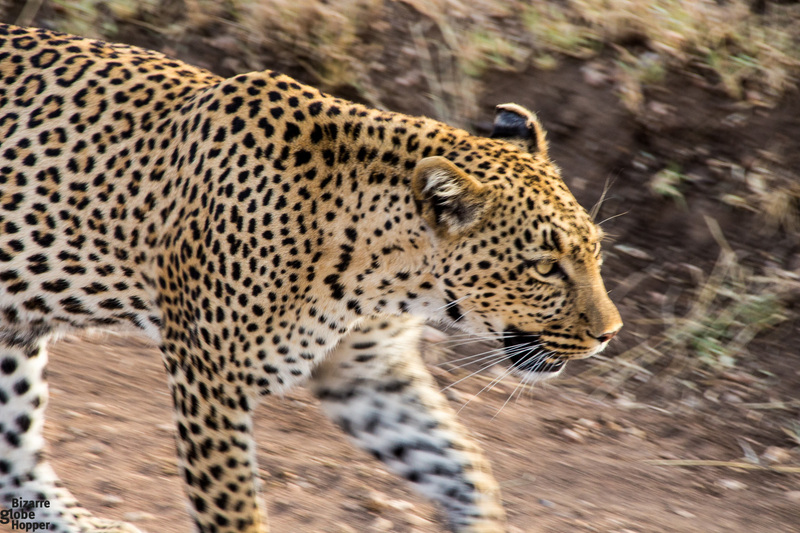 Ombeni African Safaris made a custom itinerary for us, tailored into our likings, which helped us to tick off everything on our list – and of course “The Big Five”. 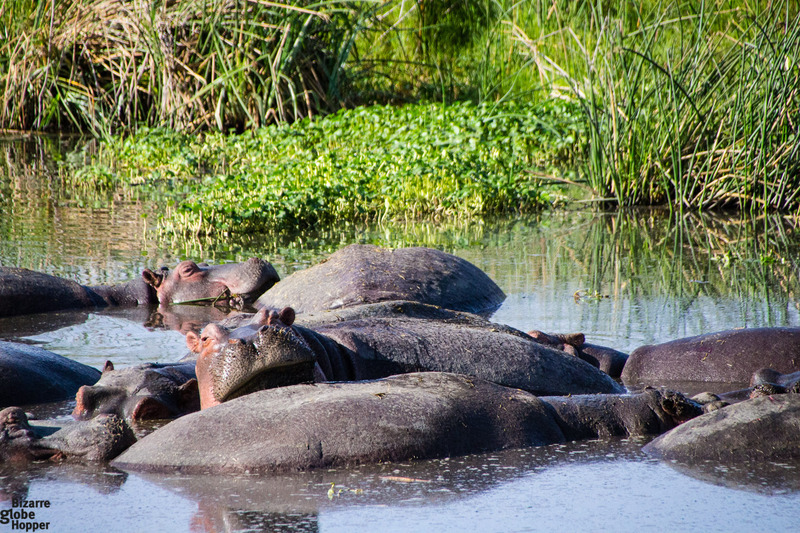 We used the classic “Tanzanian Northern Circuit” as the basis of our itinerary. 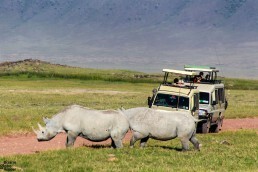 I recommend choosing a safari company that can craft a custom itinerary – that way it will be your own safari. By far, we’ve visited 6 countries in Africa and traveled with several safari companies – Ombeni African Safaris is without a doubt the best of them all. You really cannot go wrong with them: their level of service separates them from the rest. If you’re planning to visit Tanzania, I’d also add some beach time either at Zanzibar, Mafia or Pemba island. Please just ask if you have any questions on planning a safari or different destinations in Tanzania, we’re happy to help! Many thanks for your suggestion! I went to Tanzania in November, it has been an amazing experience! I did safari + Zanzibar, 5 days safari between Tarangire, Ngorongoro and Serengeti! Following your suggestion I found out as tour operator a smart company based in Arusha! I would like to come back in Tanzania and go on the western part of the country looking for primates. Thanks again for the info! Thanks for stopping by, Bille and Jack! I hope you could explore Tanzania soon, Jack! Please let us know if you need any help in planning the trip. Wow, What a beautiful post. This place seems so interesting and adventures. I really want to have an experience like this. I wish my parents take me to Tanzania on my next holidays.